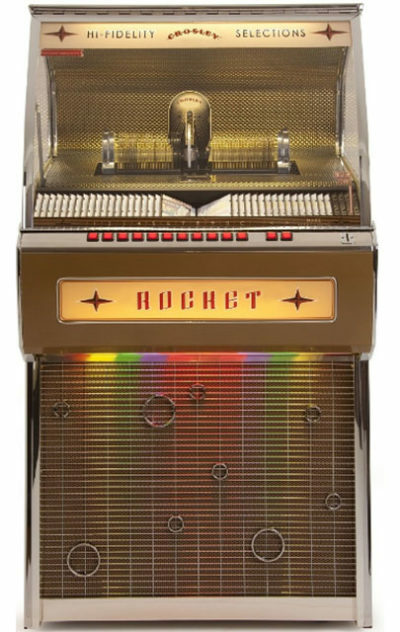 The Digital Bubbler is a full-size commercial quality reproduction of the classic Model 1015 jukebox designed for the home. 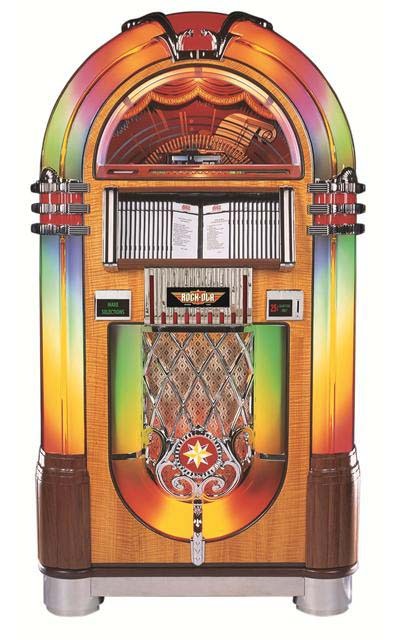 Rotating color cylinders and eight bubble tubes help recreate the look of this timeless jukebox. 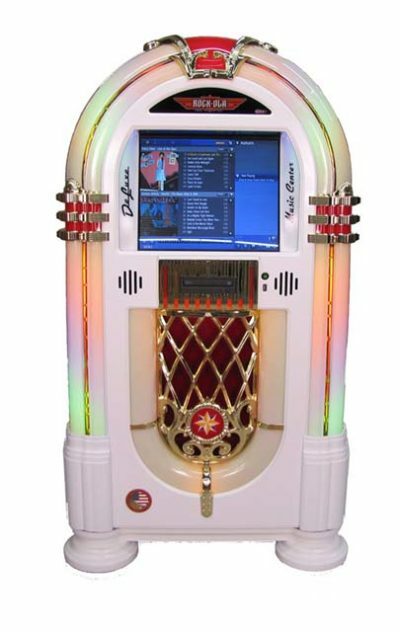 State of the art technology allows you to digitally store up to 600 of your favorite CDs on it’s 250 Gigabyte hard-drive with no loss of sound quality. The embedded database of over 1.6 million song titles makes cataloging your music as easy as inserting your CDs. Update the database with an update DVD or through the Internet using an Ethernet or modem connection. 250 watts of pure digital sound output through five speakers provides outstanding sound reproduction and ample volume. External speakers can be added by simply plugging into the external speaker jacks. Coin-door has been permanently deactivated, The Digital Bubbler is for home use only. Commercial use is prohibited. Specifications subject to change without notice. Simply insert your CDs and the Digital Bubbler automatically loads your music onto its hard drive. Four modes of track selection allow the user to quickly navigate a huge selection of music. Rich color LCD page display lists artists, album, song titles and genre. 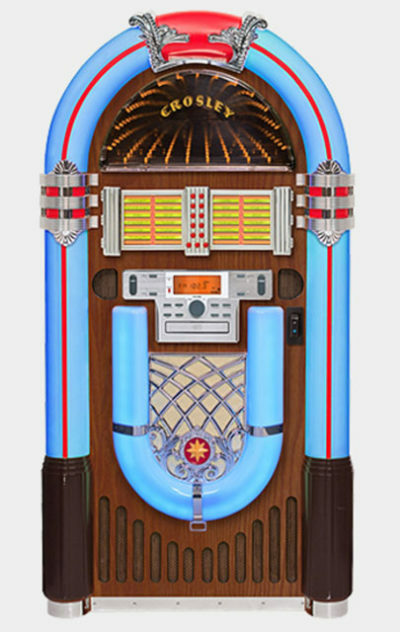 Craftsmen assemble each jukebox merging modern electronics with fine European woodworking techniques. This level of quality is unmatched in the industry, making The Digital Bubbler the centerpiece of any game room.